JAN , 1999 STARTED SUZI’S RADIO CAREER WITH BBC RADIO 2, WHICH IS ONGOING TODAY. SHE HAS DONE HER OWN WEEKY PROGRAMS, AND MANY SPECIAL DOCUMENTARIES INCLUDING ELVIS PRESLEY, OTIS REDDING, JANIS JOPLIN, JIM MORRISON, PATSY CLINE, AND A RECENT SPECIAL ON HER HOME TOWN OF DETROIT. SHE HAS MET, INTERVIEWED OR PLAYED ON STAGE WITH MOST OF HER HERO’S. SUZI IS A VERY POPULAR D.J. EVEN BEING NOMINATED FOR MUSIC BROADCASTER OF THE YEAR AT THE SONY RADIO AWARDS IN 2006. IN 2012 SUZIS TURNED HER AUTOBIOGRAPHY INTO A ONE WOMAN SHOW WHICH HAD IS FIRST OUTING AT LONDON’S HIPPODROME THEATRE FOR ONE WEEK. IN 2014, TO CELEBRATE HER 50 YEARS IN THE BUSINESS , BBC RADIO 2 FEATURED THIS SHOW AS PART OF THEIR CHRISTMAS SCHEDULE TAPED AT THE BBC RADIO THEATER. IT WAS PRIME TIME 2 HOURS LONG, UNZIPPED, TURNING INTO A MINI CONCERT AT THE END , AND WAS ATTENDED BY SUCH LUMINARIES AS BRUCE WELCH (THE SHADOWS) AND ANDREW LLOYD WEBBER. IT BROKE RECORDS WITH REQUESTS FOR TICKETS AFTER ONLY 1 ANNOUCMENT THAT THIS SHOULD WOULD GO ON. OVER 5000 PEOPLE! SUZI DID A 23 SELL OUT TOUR OF AUSTRALIA IN 2015, HER 30TH TOUR OF THIS COUNTRY, AND HER ‘FINAL’ TOUR,.. ALTHOUGH THE JURY IS STILL OUT ON THAT ONE., WATCH THIS SPACE! 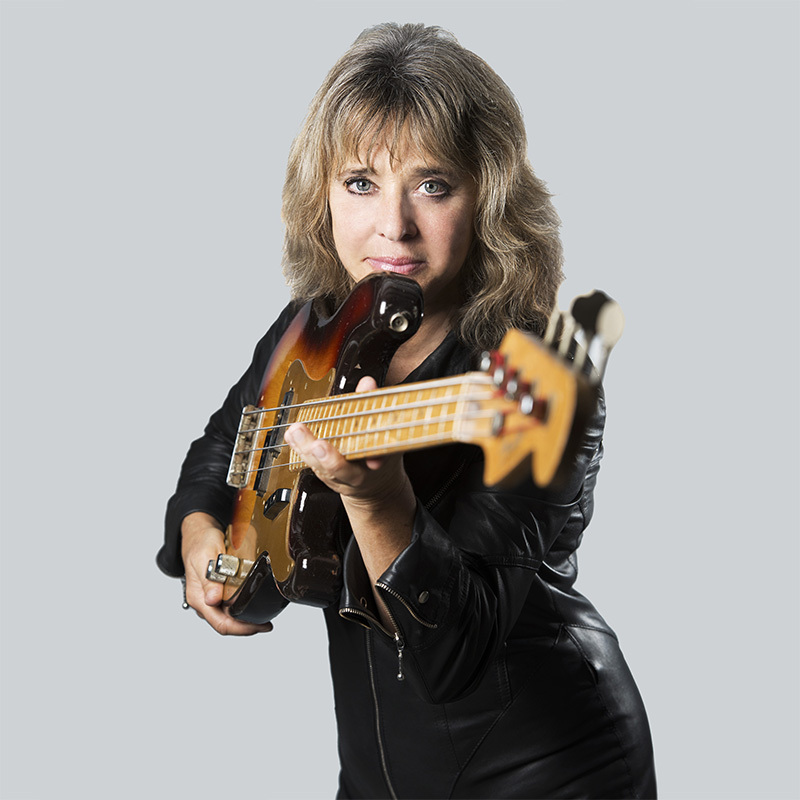 SUZI HAS FORMED A SUPERGROUP WITH ANDY SCOTT (SWEET) AND DON POWELL (SLADE) , QUATRO SCOTT AND POWELL, AND THEY HAVE RECORDED AN ALBUM, WHICH SHOULD BE OUT BY THE END OF 2016.